Bristol-Myers Squibb has been touted as a potential takeover target in the pharma industry – and potential buyers may take note of the continued strong performance of its cancer drug Opdivo despite several trial setbacks. First quarter sales figures from BMS show that Opdivo (nivolumab) sales were up 34% compared with last year’s Q1, to just over $1.5 billion. This is despite competition from a host of other drugs, including Merck & Co, which will reveal Q1 figures from its PD-1 rival Keytruda (pembrolizumab) tomorrow. Keytruda has the advantage in lung cancer and is tightening its grip on this highly competitive and lucrative market with a set of trial results showing it can be effective in first line in combination with other drugs, even in patients without the LD-L1 tumour mutation that the drug exploits. 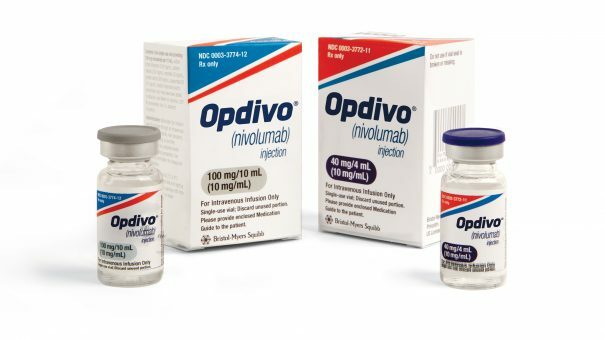 Opdivo has not been anywhere near as successful in lung cancer in trials so far, but BMS is pushing back by attempting to get the drug approved in other cancer indications. BMS has also managed to get Opdivo approved in many of its existing uses using a four-weekly dosing schedule in the US and EU, a more patient-friendly arrangement than Keytruda, which is injected every three weeks. In the near future, BMS hopes that approvals in a new colorectal cancer indication, and in previously treated small cell lung cancer will push Opdivo to new heights. Also propping up BMS is its blood thinner Eliquis (apixaban), which is now leading rivals such as Bayer’s Xarelto (rivaroxaban) in terms of sales. Sales of Eliquis were up 37% compared with last year’s Q1, to $1.5 billion, helping to prop up the results as things are not going so well for BMS’ older drugs, with sales of its hepatitis C and HIV drugs all sliding. Overall Q1 revenues were $5.2 billion, an increase of 5% compared with the same period a year ago. While the rumours of a BMS takeover from the likes of Pfizer have yet to lead to any serious offer, Takeda’s £46 billion bid for Shire might just happen. And in its results at the end of last week, Shire showed that its neuroscience division is still profitable, although its older hyperactivity drug Lialda has been hit by generic competition, leading to a reported 2% drop in sales to $918 billion for the unit. Shire has transformed itself into a rare disease specialist through a series of its own acquisitions, and this unit grew 10% compared with last year’s Q1 to just over $2.7 billion.